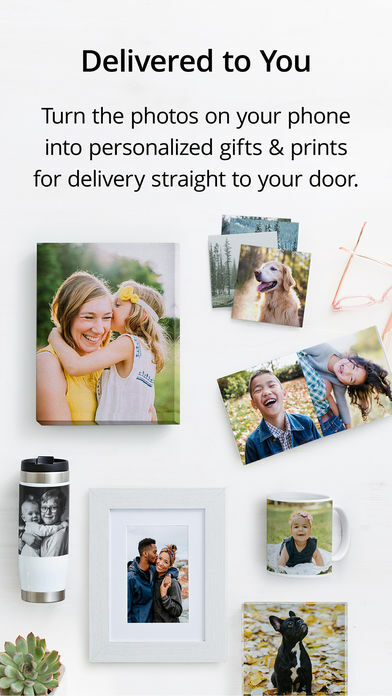 Create custom photo prints and gifts. 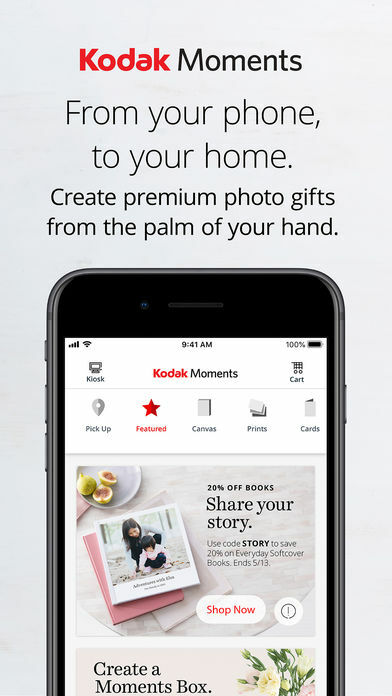 Use the KODAK MOMENTS App to shop custom KODAK MOMENTS photo prints and gifts, including photo mugs, photo canvas, photobooks, and ornaments. Need something today? You can pickup a wide array of photo gifts at your local KODAK Picture Kiosk. Our selection of modern ship-to-home photo products are made to make the most of your memories. There’s something for everyone on your list. Collect all of Mom’s favorite memories and create a beautiful Moments Box she’ll treasure. Relive that father-son fishing trip with a gallery quality Canvas, or turn the visit to the pumpkin patch into a framed print Grandma and Grandpa will love. It’s super easy. 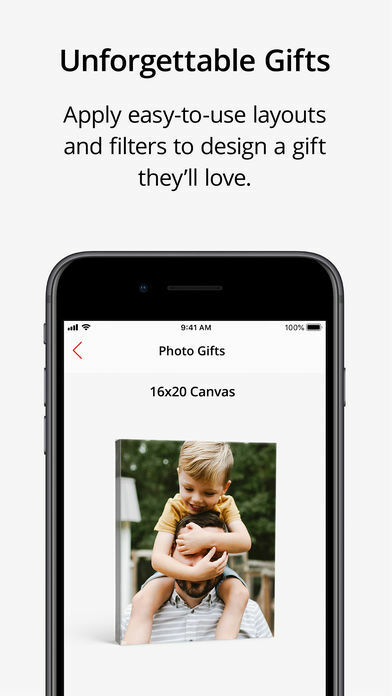 Pick a photo from your phone’s camera roll, then place it into dozens of one-of-a-kind photo gifts. You can design everything from ornaments to mugs to photo cards and photobooks, quickly and easily in the palm of your hand. Enjoy ship-to-home delivery or let the app find a nearby store for pickup. Designed with you in mind, our card collection delivers the cards you want just the way you want them for one all-inclusive price you’ll love. With the easy-to-use interface, you can add your photos and personalized greeting to premium quality cards perfect for every occasion. Your choice of square or rounded corners, plus envelopes & return address printing is included. • Shop function allows you to create a wide range of one-of-a-kind photo gifts including framed prints, photo prints and canvases, modern home décor items, cards, magnets, mugs and more. • Relive your memories under the optimized Discover tab. Our Made For You™ curation technology makes it easy to turn your favorite moments into premium products. • Need help with your order? Go to Accounts and tap on Help to ask our customer support team a question. • Take advantage of special seasonal deals and exclusive offers. • Have your products shipped to your home or let the app find a store nearby. 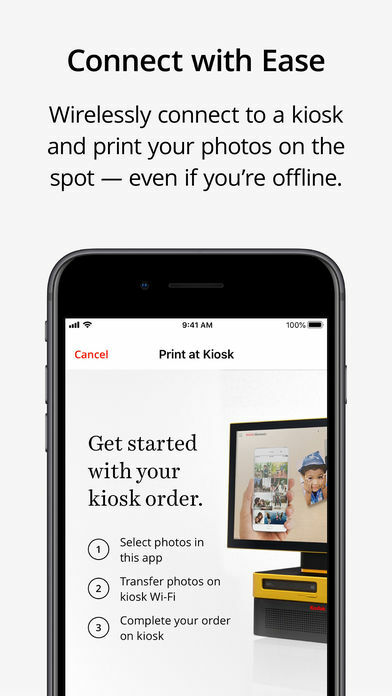 • Connect wirelessly to a KODAK Picture Kiosk at your local store and print your favorite photos on the spot. 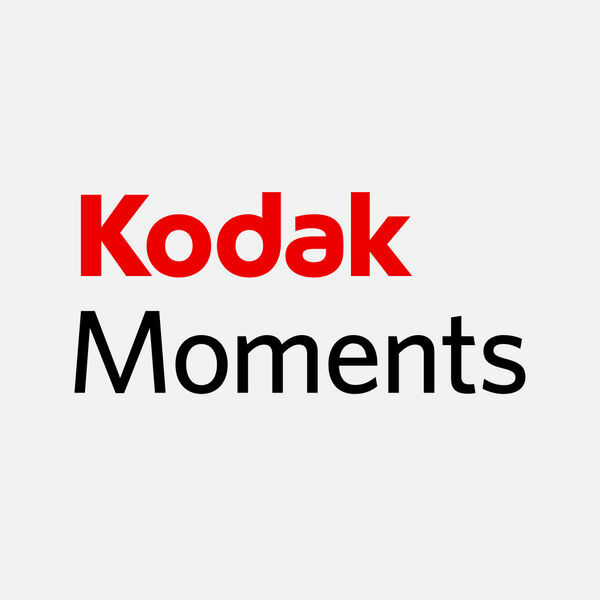 • Login to FACEBOOK, INSTAGRAM, GOOGLE PHOTOS or FLICKR through the KODAK MOMENTS App to print directly from your social feeds. • Apply easy-to-use layouts and filters to make your photos (and relatives) look their best. 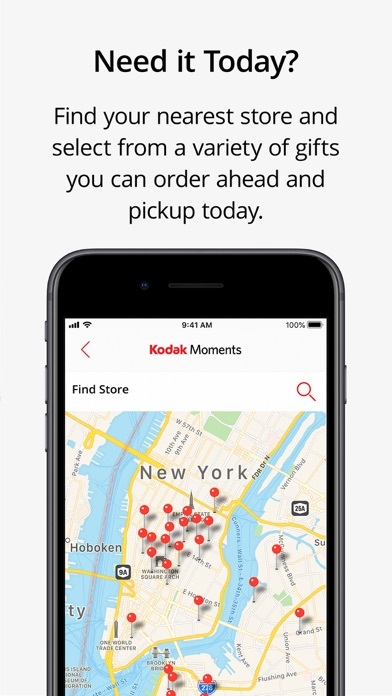 • The KODAK MOMENTS App is advertising-free and we never sell your data. Ever. • Our team is constantly building new ways to improve your app experience. Make sure you keep your updates turned on so you don’t miss a thing.